Rob’s practice is primarily dedicated to litigation in state and federal courts. He practices extensively in the areas of professional liability defense of architects and engineers, attorneys and accountants. Mr. Emmerson also has a significant trucking and personal injury practice in addition to business disputes, banking law, insurance coverage, and workers compensation. 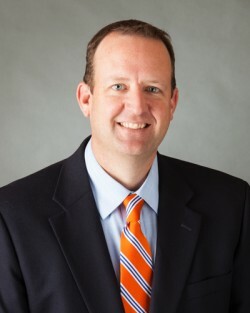 In addition, Rob serves as director of the firm’s Immigration Law Group, practicing primarily in the areas of employment-based immigration, waivers of inadmissibility, and corporate compliance. He has served on committees and as a presenter for a variety of legal topics. Rob has been president of the Fishers-HSE Girls Basketball program for several years. He is vice-president of Southeastern Program of Recreational Team Sports (S.P.O.R.T.S.) which serves over 12,000 youth in the Fishers community. Rob also serves on the board of the Indiana Parkinson Foundation and has served as a church elder and trustee.